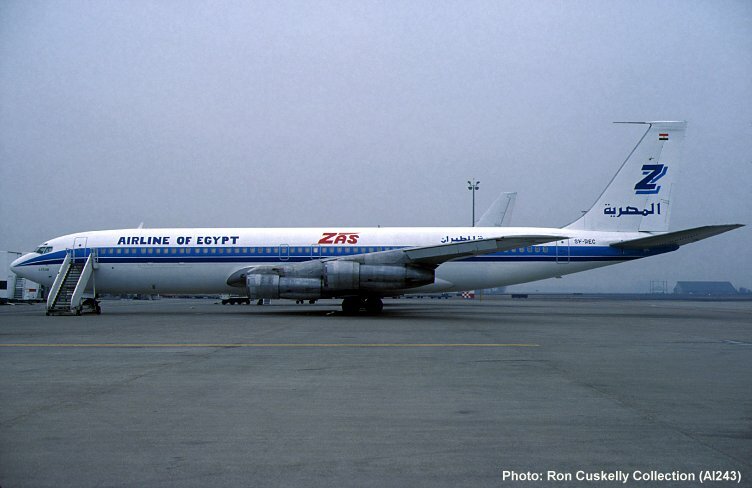 The former VH-EAB in ZAS Airline of Egypt livery as TF-AEC at Amsterdam on 12 March 1986. Although clearly marked as TF-AEC on the starboard side, the markings on the port side (shown above) appear to show SF-AEC. This suggests that the aeroplane is in the process of becoming SU-DAE, an identity which it took up on 1 April 1986. Probably the aeroplane had been painted as SU-DAE with the previous registration taped over but peeling off.